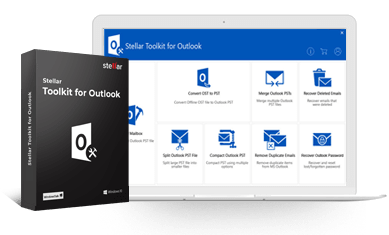 How to activate to Full version of the Stellar Repair for Outlook? Answer: Once you purchase the software, you will receive the Serial Number, which is essential for the activation of the software. During the activation process, the Serial Number is verified and if it is valid, the software gets activated. Does the software support all version of Outlook and is it compatible with all Windows Operating systems? Answer: Yes, the software supports all major versions of MS Outlook and is compatible with all Windows operating systems including Windows 10. Supported MS Outlook Versions: 2019, 2016, 2013, 2010, 2007, 2003. Do I need to be afraid of any affect on my original corrupted file, after using the utility? Answer: No, absolutely not. The utility is completely read-only and be sure; it will not affect your original file in any way. Will the Update Wizard feature work for all the future updates? Answer: Yes, the Update Wizard option in the software will work for all future minor and major updates to the utility. Once, you click the Update Wizard, it searches for the latest updates. The software automatically installs the minor updates and if there is a major update, it indicates the availability of the same. In case of a major version, you need to purchase it.